The Fuente Rosado Magnum R appeals to cigar lovers who enjoy a creamier and smoother cigar experience without sacrificing flavor. With a distinctive, sweet finish and elegant, complex undertones, this cigar is destined to become another Fuente classic. Cigar Aficionado chose this particular vitola as its' #6 Cigar of 2016. Enjoy! In a change of direction from their more full bodied series, Carlos Fuente, Jr. decided to create a cigar that was medium bodied for the consumer who wanted a mellower smoking experience. And did he deliver! His Rosado Gran Reserva Sungrown Magnum was presented with the # 6 Cigar of the Year in 2016 and rated 94 by Cigar Aficionado magazine. 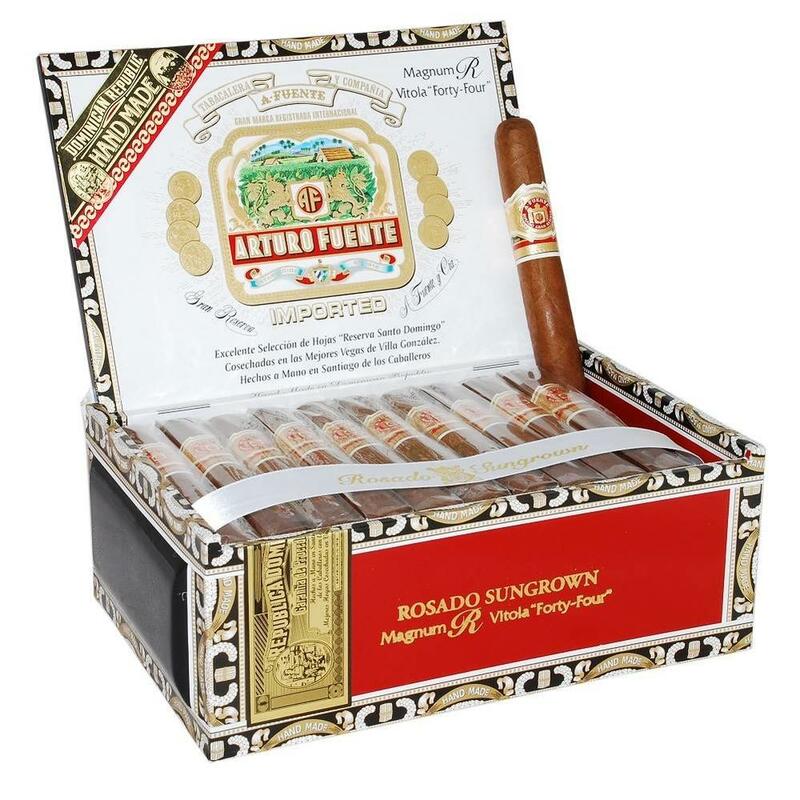 The Rosado Gran Reserva Sungrown Magnum is comprised of the best Fuente blend of Dominican tobaccos and a sun grown, rich Ecuadorian Habana wrapper that offers a medium-bodied yet bold flavor. The Rosado Sungrown is a beautiful reddish tinted silky and smooth wrapper leaf. According to the Fuente family, the hand selected Ecuadorian leaf is aged up to a decade. That takes patience and dedication. After lighting, my first impressions are of leather, spicy cinnamon and pepper. The Gran Reserva Rosado has natural sweetness with notes of maple, coffee and vanilla caramel. The blue smoke remains mellow and sweet throughout. Although the Fuente Rosado Gran Reserva Sungrown Magnum R is not as potent as some other Fuentes, this gorgeous cigar stands on its own. 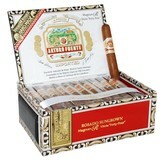 Cigar aficionados and beginners will certainly appreciate the pleasant experience. The Rosado Sunrgrown would make and ideal accompaniment to your morning coffee or tea.